Ships today if you order in the next 4 hours 46 minutes. 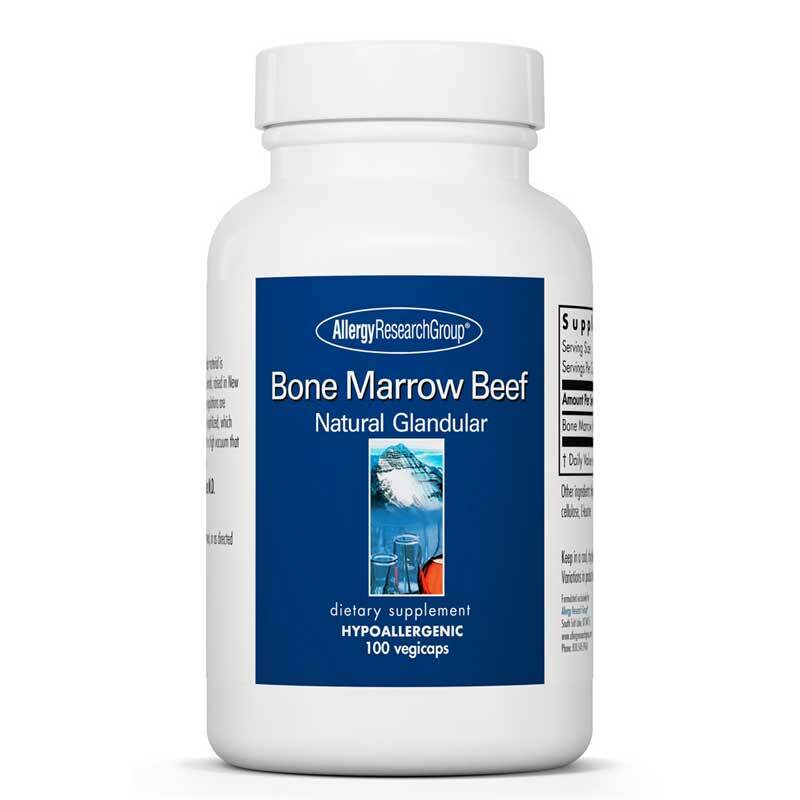 Bone Marrow Beef Natural Glandular from Allergy Research provides a concentrated form of the fatty and gelatinous matter inside large beef bones. 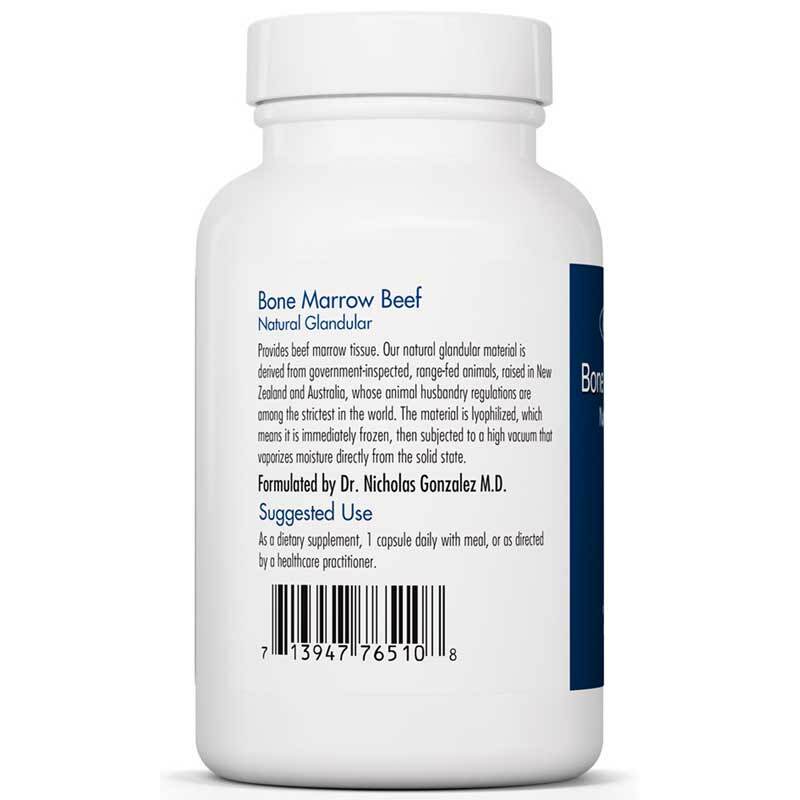 According to the ancient theory of like heals like, organ glandular supplements use the nutrients from animal organs and glands in concentrated forms to try and benefit the parallel organs and glands in our bodies. In glandular supplements, purity is of crucial importance. Allergy Research Group formulates its glandulars according to strict specifications. And it only uses material sourced from government inspected, range-grazed animals raised in Australia and New Zealand. Animal husbandry regulations in these countries is among the toughest in the world. The glandulars are freeze dried, or immediately frozen, then subjected to a high vacuum that vaporizes moisture directly from the solid state. This technique respects the delicate nature of the material, and except for the water content, leaves in everything that naturally occurs in glandular tissue, including any fat content. We suggest that glandular products not be refrigerated, but be stored in a cool, dry place. Humidity in refrigerators may reduce their stability. No health claims are made for this product. 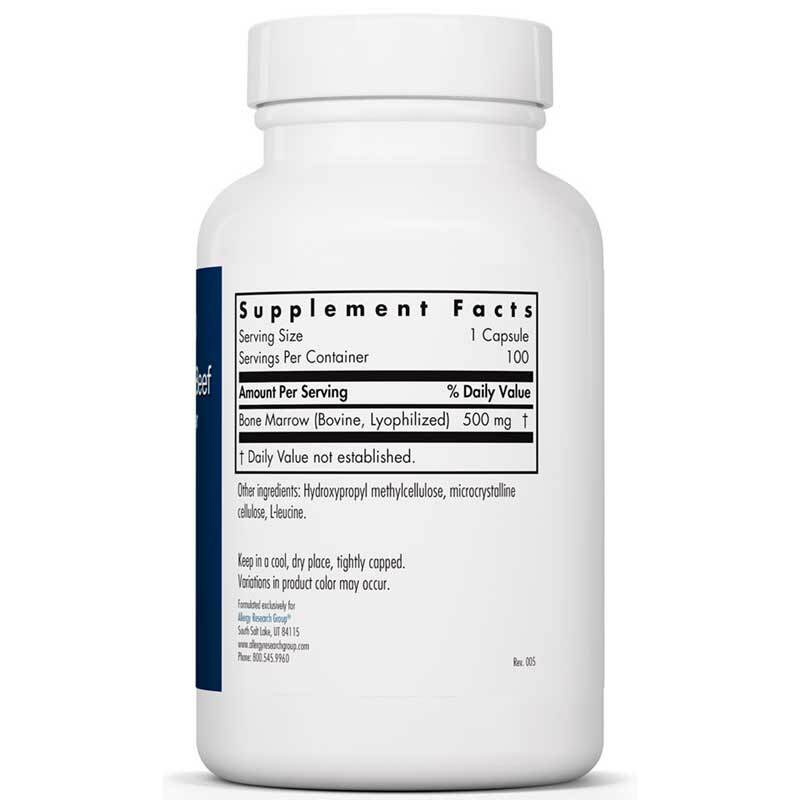 Adults: As a dietary supplement, 1 capsule daily with a meal, or as directed by a healthcare practitioner.